Dr Mike, Leaving your practice was so hard with the quality of work you do. But moving to Texas I didn’t have a choice. I went to my appointment with my new dentist and they commended your quality of work you have done on my teeth. I had to pass It on to you. I agreed your the best! Miss you all ! Dr. Lum is incredible, he makes you feel comfortable and has an abundance of knowledge that he shares with you during the visit. I would highly recommend him and his staff. Christine is awesome and takes care of everything for the customers from handling and adjusting appointments, sending reminders, and helping us understand the billing. Dr. Lum is great and takes care of me and my family and makes sure our teeth are still there for the long term! Dr. Lum is great. Very thorough, very honest, very professional and all around awesome. While very minor, I have had dental issues that were never well explained to me, so I never took them serious. Especially since there was no pain on my end. After seen Dr. Lum, and seeing not only x-rays, but detailed close-up pictures of my teeth, it opened my eyes. His entire staff is wonderful, especially Christine. She is super friendly, nice, helpful and more. Everything you want when you walk in the front door. I would recommend his office to anyone. Dr. Mike has been my go to guy for years now. Awesome work, awesome attitude. Just an all around good doc to work with. I have recommended him to family and coworkers. Christine and Norma are also a joy to be around! If your in need of a dentist, this is the spot to go to! My family been a patient of Dr Lum. Since 1993, started with his father until now with my kids. The staff are very nice and helpful. They highly recommended. I've gone to Dr Lum for nearly 5 yrs now. He's a great dentist. As soon as my son was old enough, I started taking him to Dr Lum too. My son has no problems going to the dentist because this office is so friendly and nice. Great dentist and staff. However stressful it is to me to have work done, and I have a lot of issues, it is always good to see Dr. Lum and his staff. They make going to the dentist as pleasant and comfortable as possible. I have been a patient with dr Lum (Both father and son) for the last 50 years. That should be enough to tell you what I think about them. To me, their mantra should be "Minimal pain Maximum gain ". Great doctors and great office staff. I've been going to Dr. Lum for about 19 years. His staff, Christine and Norma, are wonderful. I highly recommend them. Dr Lum is very good. He explains all the questions that I am concerned about. Christine is very helpful and friendly. I highly recommend Dr Lum to everyone. My family and I have been going to Dr. Lum for years. Hands down the best dentist around. Very easy to talk to and the staff is amazing! My whole family has a long history with Dr. Lum. My wife and I came to Dr. Lum dental office more than 30 years ago and then our children. Starting with his father and now him. They did a great job to keep our teeth in great condition and looking great. I have been going to Dr. Mike for several years now and he is great. His staff does this best to maximize your coverage while not sacrificing service. They are even great with children. Utterly happy with them and would recommend them 1000 times over. As a kid I always looked forward to coming to Dr. Mike's office for the treasure chest prizes at the end of a cleaning. That's changed a bit since I grew up! I still look forward to appointments but moreso because of the friendly staff and quality service. Thank you Dr. Mike, Norma, and Christine for keeping my smile (and mood) shiny and bright! I have been going to this office for several years and it is always a good experience. I have mostly had only cleanings and xrays over the years but every visit is smooth. Christine always sends out emails and txt reminders about my appointments. Sometimes I have had a meeting come up and had to reschedule and she always handles it perfectly. Dr. Lum and Norma his assistant are both excellent. Everyone there is calm and every visit is a very relaxed event. They are both very gentle on my mouth! Excellent dentist. Would recommend highly!!!!!!! I've been going to Dr. Lum for about 4-5 years now and I must say he is very good at what he does. Dr. Lum takes time to explain all the pros and cons of any treatment or procedures you need to keep a healthy smile. I'm very grateful that I can cite my experience with Dr. Lum and his staff as among the very best from experience with other dentists in the Bay Area. I always feel welcomed and comfortable both by the friendly staff and the pleasant environment of the office itself. I have been going to Dr. Michael Lum for over Ten years and am VERY satisfied with him, his work and with the office staff. They are all very pleasant and friendly. They take great care in making the process as comfortable as possible. He gives good explanations of the x-rays and work that needs to be done. I have needed crowns and two implants to preserve my teeth into old age. The crowns and implants fit well and I can chew nuts and raw veggies so well That it is a joy to eat . Thank you Dr. Mike! I and my family have been going to Dr. Lum for about 30 years now; and Michael Lum, the founder's son, very much produces the same excellent dental care that his father produced. Michael talks with me, and makes sure I understand his recommendations. As a result, I have become an avid flosser - and my mouth is healthier now; I won't have the dental problems my parents had. Dr Lum and his staff identify problems quickly, talk with you, design treatments, and prevent problems from growing big. I also like the flexible appointment policy. I have a difficult schedule. Christine takes great care of me. She texts me a few days ahead of appointments; and she replies quickly when I need to change times. My wife and I think Dr Lum and his staff are great! This review is long overdue. I have been going to Dr. Lum for years. Today I came back for my routine cleaning and the service is consistently top notch. Dr. Lum has the most efficient staff working along his side. The staff and the doc himself are professional, friendly, and very knowledgable about dentistry and also your specific oral needs. His same team members have been with him well over a decade and that said a lot about how well they work together. They are on time, every time, so don't be late. Dr. Lum's skills and thorough approach put me at ease. He has always taken the time during the work session. He also proactively explained the condition of my oral health and only recommended the must-do work. I moved 4 times (2 out of state) in the last 5 years and still kept him as my dentist while working my schedule when visiting. I am surprised that there are only a few reviews so I decided to show my appreciation for the great service his office has provided me over the years. Dr. Lum and his staff are terrific! I had enrolled in Kaiser's Senior Advantage and Delta Dental Care USA was included. Unfortunately, Dr. Lum, who I have been going to since he started practicing and his father before, were not in the system. I decided to try another dentist closer to home. The new dentist did X-Rays and an examination. I felt that the new dentist was not as professional as Dr. Lum and they recommended a cleaning that would have been more than $1, 400 with only $600 covered by Delta. I felt this seemed excessive so I called Dr. Lum's office for a second opinion before having it done. They had never heard of the type cleaning that the new dentist was recommending and also felt the prices that were being quoted were out of line. I quickly decided that I wanted to stay with Dr. Lum. I have had numerous crowns and fillings and maintenance done by the Lum dentists over the years with excellent results. They have always been warm, caring and yet professional. When you find a winning team, stick with them. I went in for my bi-annual cleaning again and was just thinking that I'm still am still impressed with Dr. Lum, his team and office. Caring, personable, friendly and knowledgeable... Great characteristics for any of your medical professionals. A++ office... They think of everything to make your experience as easy as possible. Thank you Dr Lum! DDS Michael Lum and his staff form a great team. Each individual is well versed in their respective positions and activities. There is a warmness that a person gets like being with family. Christine the receptionist is a very friendly and knowledgeable individual that really keeps the office running with great precision. Michael is a very professional and caring individual and he makes you aware of the process and procedure that he will be preforming.I would highly recommend this Dentist and his staff to anyone in need of dental work. The best there is. Outstanding Dental Service with a very professional staff of people. Dr. Michael Lum and his staff are great! Very professional and respectful of patient's time. There is no overbooking and you are seen at your specified time. So happy to be a patient of Dr. Lum! He makes you feel welcome and provides excellent dental care. Christine is so professional and pleasant. 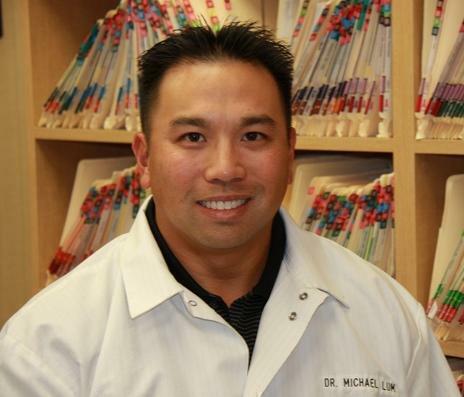 Five stars isn't enough when rating Dr. Michael Lum and his staff. I've been seeing Dr. Lum for about 7 years and by far the best dentist I've experienced. I'm 39 and have two girls ages 8 and 11. My wife and kids were seeing a local dentist that my wife has seen since her childhood. Last year we made the change to Dr. Lum for my wife and kids and here's why. My wife had an aching molar that her old dentist part of the Almaden Dental Care group could not fix. It was very sensitive and painful depending on the time of day and foods she would eat. This went on for about two years, dealing with the same area of her mouth. Finally, I convinced her to see Dr. Lum and voila long story short, turns out she needed a root canal. She is now pain free. I also had all my old silver fillings replaced with the new white porcelain about 7-9 months ago. I was reluctant to do this after reading horror stories on the internet. In fact, i canceled my appt twice LOL...However, one of my friends who also is a patient of Dr. Lum, had it done without any problems so I decided to proceed. I'm extremely happy with the results and I didn't experience any problem areas. I had both the uppers and lowers done. I believe it's because Dr. Lum cares and is very knowledgeable in Dentistry.They have latest equipment and technology, very professional, caring and honest. Most importantly, they have always worked well with our insurance provider which changes year to year with my company. Well worth the drive twice a year and HIGHLY RECOMMENDED! I used to go to Dr. Mikes dad when I was a wee one, and I was the kid who had to go to the orthodontist and the dentist CONSTANTLY as a kid...I had braces (the nasty silver ones) headgear, YOU NAME IT. I never wanted to go to a dentist EVER AGAIN. A broken tooth necessitated a crown...and Dr. Mike worked magic. How much magic, you ask? I, who am terrified of the dentist...decided to get my chompers fixed permanently and get veneers. If you know about veneers, it is about the most intense process I can imagine. (I almost don't think a root canal would be worse) Long story short. MAGIC. I have the most lovely, perfect, straight and pearly set of teeth EVER. THANK YOU DR. MIKE! I initially book both my boyfriend and my appointment with the receptionist, Christine. We needed a dental exam and cleaning. She was very helpful and explained all the details with our insurance. She is such a sweetheart! Dr. Lum and his team were very nice and friendly. The environment was clean and inviting, which was very important because my boyfriend is terrified to go to the dentist which prolong him to ever visit one. My cleaning was super gentle, no pain, and my teeth came out super duper clean and whiter. Dr. Lum was very thorough and answer any questions we had. He also gave me wonderful tips on how to keep my teeth whiter from all that coffee I drink. HahaI would have to say my visit to Dr. Lum was the best dental experience by far. I highly recommend! The entire staff is great! Dr. Michael makes you feel confortable and like a real person. Christine is so nice and friendly. Norma is sooooo funny and makes me laugh every time. I feel like i'm visiting with family instead of going to the dentist. Finally I have found a Great Dentist, Im 53 years old and have had the unregretable expirience of decades of bad dental treatment, I was to the point where I absolutley hated to go to Dentist, until I found Dr. M.Lum, this office has a very very friendly atmosphere. The Receptionist Christine is very proffessional and helpful in explaining to you any billing question's(plus she is pretty) and then there is Dr. Lum's right arm his assistant Norma who is absolutely so so so cute with a gorgeous smile and always greeting the patients very warmly, And finally Dr. Mike who I have had the pleasure of him treating my dental needs ,I no longer hate to go to dentist his work is the best I have ever had done and believe me I have had plenty for Dr. Lum to correct , again I would encourage all with bad times to come to this office for better Dental needs. Dr. Lum takes care of me! I always recommend my family and friends to come to him. He's very detailed about what he will be doing and is very sincere. I've been going to him for two years now due to my friend referring me to him and it's been a great experience so far. Excellent dentist, pays great attention to detail. He really knows what he is doing. The office is very clean and modern is a convenient location in Milpitas.